Time to Pick Your Instrument Participating in music does much more than just let kids learn a fun skill. It also teaches children that they need to take their commitments seriously and practice good teamwork. Sparking an interest in music is essential for the parents of young children, as this is a crucial time for influencing child development. Elementary school is the perfect time to help a child choose his or her first instrument, as children usually have an easier time learning an instrument than adults. Once a child selects his or her first instrument, the possibilities are almost endless. Parents and educators have a variety of options when it comes to sparking interest in music. One way to generate interest is to play a movie or television show once with the music and then play the movie again with the music muted. Even young children can understand that the music is what makes movies and television shows so exciting. Music can signal romance, suspense, danger, excitement, and every emotion in between. Exposing children to different types of music is another way to spark interest. Allowing children to listen to many different types of music and compare them helps them develop their own tastes. One child might like classical music while another enjoys country music. These differences are fine, as any interest in music is a positive thing. Just listening to music with children can help them develop an interest, as kids quickly absorb new songs. Music: A Natural Connection (PDF): This resource explains why music is an important part of growth and development. The Influence of Music on the Development of Children (PDF): This resource explains how music influences child development. Many parents struggle with the problem of whether to rent or buy a musical instrument depends on a number of factors. Parents should consider the age of their child and how much of an interest the child has in the instrument. If a child is just starting out and has not developed a real love of the instrument yet, it is better to rent in case the child decides to pick another instrument later on. Budget also plays a role in deciding whether to rent or buy. Most music stores offer low monthly payment plans for those who rent. Parents who do not have enough money set aside to purchase an instrument should consider renting. Buying an instrument is ideal if a child has already played the instrument long enough to develop a real interest. If the student sticks with the same instrument for several years, buying may even be cheaper than renting. Rent vs. Buy: This article discusses the benefits of renting an instrument versus buying an instrument. Regular practice is an important part of learning a musical instrument, as practice helps students learn difficult passages and improve their talent. Parents should encourage their children to follow a weekly practice schedule. There are several ways to ensure that children stick to this schedule. One is very practical: using a timer to make sure the child practices the entire length of a practice session. Another is more fun. Using rewards is a great way to encourage children to practice consistently. Offer small rewards such as dinner at a favorite restaurant or the opportunity to have a sleepover. Make a chart to track the child’s progress toward the goal. Giving children opportunities to perform is another important way to encourage them to practice. Schedule a private recital for friends and relatives. Most children will want to perform well, so they will be motivated to practice. Getting Kids to Practice: This parenting resource offers several tips for helping children develop good practice habits. Encourage Kids to Practice Their Instruments: This article includes several practical ideas for encourahing kids to practice their instruments. Celping children develop an interest in music does not have to be an expensive, time-consuming project. For young children, banging on a pot with a spoon or spatula can spark an interest in music and help them understand how sound is produced in percussion instruments. Attending free concerts in local venues is a great way to expose children to different types of music. Many colleges have free performances on a regular basis, as this is how music majors develop their skills. Young children love to make their own instruments with common household items. A piece of waxed paper, a rubber band, and an open plastic container make an inexpensive makeshift drum. Put rice or seeds in a piece of fabric to create a set of maracas. Making Music Fun: This guide can help parents get their kids interested in music. Music Activities for Kids and Families: This resource offers several ideas for helping kids learn about and develop an interest in music. Introducing Toddlers to Music: This guide offers information for parents who want to introduce their toddlers to music. Children have a variety of options when it comes to picking an instrument. They may choose to play woodwind instruments, brass instruments, string instruments, or percussion instruments. The woodwind family includes flutes, clarinets, oboes, bassoons, and saxophones. The flute produces sound when the player blows into the mouthpiece. Clarinets and saxophones use single reeds to produce sound. Oboes and bassoons are double reed instruments. Two pieces of cane – the double reed – vibrate against the mouthpieces of these instruments to produce sound. In addition to these common instruments, there are also piccolos, soprano clarinets, alto clarinets, bass clarinets, tenor saxophones, baritone saxophones, and contrabassoons. The brass family includes trumpets, tubas, trombones, coronets, French horns, sousaphones, and other similar instruments. Each of these instruments has a metal mouthpiece that produces different sounds depending on how the player tightens or loosens his or her lips. Brass instruments also have valves to help control the sounds produced. String instruments have vibrating strings that produce sounds. This family includes the violin, viola, cello, and string bass. Players use a bow to make the string vibrate. The percussion family includes the piano, drums, cymbals, triangle, and any other instrument that produces sound when it is shaken or struck with an object. 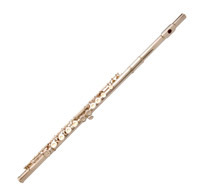 A World of Flutes: This resource explains what the flute is and gives some of the history of this instrument. Piccolo 101: This article by Jonathan Brahms discusses the piccolo and how it is played. Clarinets: This resource explains what a clarinet is and what it looks like. Types of Saxophones: This guide explains the types of saxophones and how they differ from each other. Musical Instruments – Brass: This resource discusses brass instruments such as trumpets, French horns, and trombones. Percussion Instruments: This guide lists the many percussion instruments and links to more information about each. 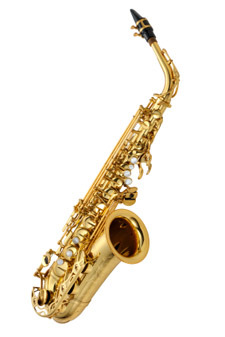 The Saxophone: This page describes the characteristics of the different types of saxophones. It also discusses how the saxophone produces sound. Oboe: This page discusses the history and characteristics of the oboe, a double reed instrument. Bassoon History: This page discusses the history of the early and modern bassoons. What is the Trumpet? : This resource discusses the history of the trumpet and explains the construction of the instrument. The Trombone: This resource lists the different types of trombones and explains how they work. Getting Started on the Horn: This guide is for beginners interested in learning the French horn. What Band Parents Need to Know About Tubas: This is a detailed guide to the history and usage of tubas. Guide to Student Violins: This guide explains what to look for when choosing a violin. A Guide to the Viola: This guide explains the parts of the viola and how they work together. Cello Information: This resource offers information about the cello for beginners. About the Double Bass: This page discusses the types and sizes of double basses. 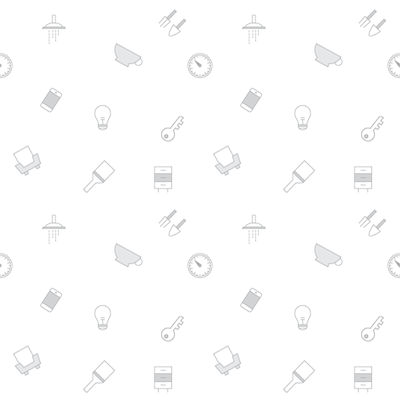 The Story of the Piano: This site discusses the detailed history of the piano. The famous bands and orchestras of the world have made many people fall in love with music. The Glenn Miller Orchestra, which still tours today, made it hip to listen to big band and swing favorites such as “Pennsylvania 65000” and “String of Pearls.” The Boston Pops Orchestra regularly performs in front of sold-out crowds, blending favorite classical pieces with pop music and pieces from movies and video games. The United States Army Field Band and U.S. Marine Band travel the United States and play patriotic tunes and old standards. The London Symphony Orchestra is another orchestra famous for its beautiful performances of a wide range of classical favorites. The World Famous Glenn Miller Orchestra: This resource offers information about the famous Glenn Miller Orchestra. The History of the BSO: This resource discusses the history of the Boston Symphony Orchestra. U.S. Marine Band: This site explains what the U.S. Marine Band does and how it is organized. The United States Army Field Band: This resource explains why the Army Field Band formed. London Symphony Orchestra: This guide takes a look at the history of the LSO. The importance of music education has been known for hundreds of years. Plato, a Greek philosopher, once said that “music is a more potent instrument than any other for education.” John Sykes, the president of the VH1 network, said that “Music education is critical to the product development of this nation’s most important resource – our children.” The president of Educational Testing Service, Gregory Anrig, said that his participation in music taught him “discipline, dependability, composure, courage, and pride in results.” All of these quotes demonstrate the importance of music education. The opportunity to participate in music is an exciting one for children. Picking the right instrument can help kids develop their talents and learn how to work with others to produce beautiful music. Music education is also important for academic success, as it is linked to better test scores. Parents and educators should encourage children to participate in music by offering plenty of music activities and opportunities for exposure to different types of music. Parents and educators have a variety of options when it comes to sparking interest in music. One way to generate interest is to play a movie or television show once with the music and then play the movie again with the music muted.